Modern flat located close to the city centre offering easy access into town via bus routes and overland train at Bellgrove Station. The property comprises open plan lounge with a fitted kitchen, bathroom with shower, one double bedroom and one singe bedroom. This property is available unfurnished. 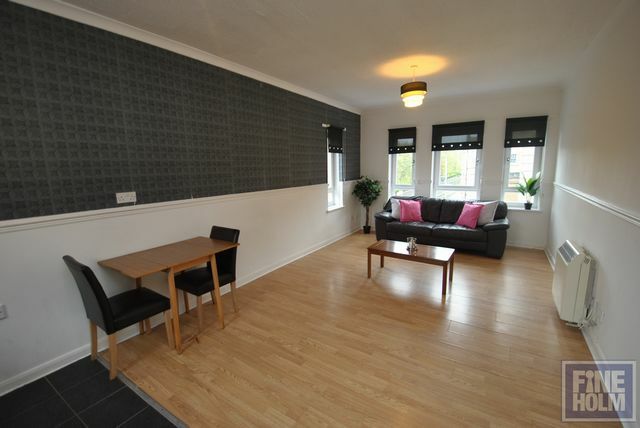 Secure entry, electric heating and single glazing throughout, residents parking and communal gardens. The property is located close to Morrisons supermarket and for more extensive shopping is close to the Forge retail park.